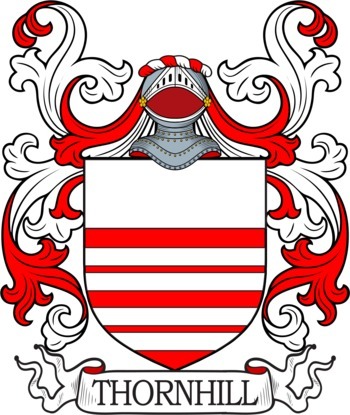 This interesting surname is a habitational name from a number of places called "Thornhill", in Derbyshire, Wiltshire, Dorset, and Yorkshire, so called from the old English pre 7th Century word "thorn", thornbush, and "hyll", a hill, hence a hill overgrown with thorn bushes. Thornhill in Derbyshire was recorded as "Thornhull", (in the 1320 Pipe Rolls) while in Dorset, near Stalbridge it was called "Thornhulle" (in the 1377 Feet of Fines), and near Wimborne it was "Tornehelle" (in the Domesday Book of 1086), whereas, in Wiltshire the Taxatio ecclesiastia of 1291 called it "Thornhulle". Leave a message for THORNHILL family members. Invite more THORNHILL family members! Click 'Invite' to connect with more members of the THORNHILL tribe.